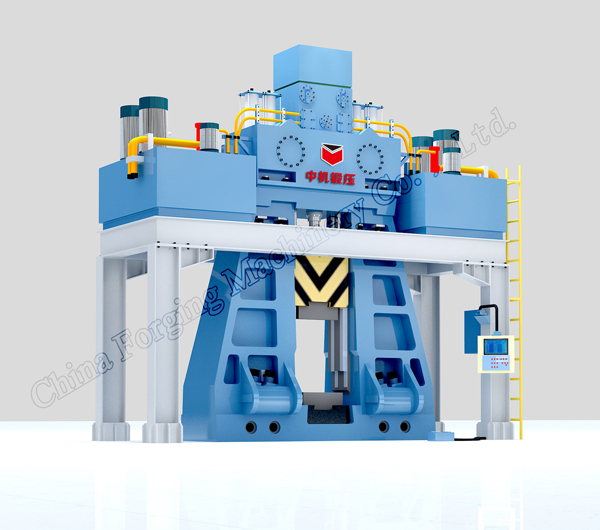 Its driving system is fully hydraulic driving system, fixed on columns with elasticity anti-vibration cushion block. This system uses advanced taper valve control technology, combine cylinder transit technology, double anti-leakage and hydraulic integrating technology, simple system structure. And Key hydraulic components and seals are imported. Its hydraulic pump station is assembled on platform on two sides of hydraulic driving system. That not only reduce affecting on hydraulic system arising from striking vibration, but also short high pressure pipe channel, and reduce occupying areas. And the hydraulic station can be on floor and connect to driving system through pipeline. Its striking system uses pre-stressed combine body to resolve super parts machining and transportation problem, and also avoid traditional separated hammer body with lower strength problem. Striking program is easy to input, no need skilled computer engineer, and even semi-skilled worker is OK. When hammer working, control system can check oil temperature, pressure, cleanness and position and then numerical display. Once problem, the malfunction alarm light will be on and the malfunction position and character will be on touch screen. New designed remote monitor system can save maintenance engineer to user’s workshop time and cost. It not only save large labor and resource cost, but also supply fast service to customer to reduce loss arising from hammer stopping. 01) Special designed die automatic lubrication, blank convey system, ejector and scale removing system are for customer to choose. They can be linked to hammer through program to realize die lubrication locating, timing, quantifying control, to improve its productivity and reduce labor intensity. 02) Remote monitor system can save maintenance engineer to user’s workshop time and cost. 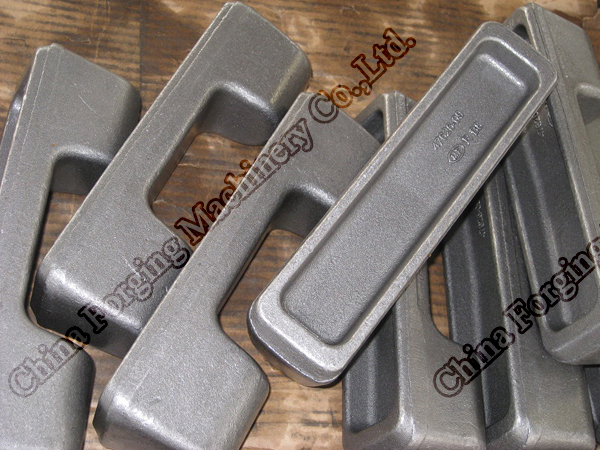 It not only save large labor and resource cost, but also supply fast service to customer to reduce loss arising from hammer stopping.